NHS Tayside is changing its chemotherapy treatment after a watchdog report found patients were being given a lower dose of drugs than in the rest of Scotland. Healthcare Improvement Scotland (HIS) found patients were not informed about the difference in treatment at the time. The health board has since written to 304 patients who had chemotherapy for breast cancer from December 1 2016 to this month. They have been offered an appointment with an oncologist. NHS Tayside has now said 14 of these patients are dead and an independent expert will review the treatment these women were given. A spokesman for the health board said: “As part of our response to the HIS report, NHS Tayside asked an independent expert to review the breast cancer chemotherapy treatment of 14 patients who have died. “These patients received breast cancer chemotherapy during the time period December 1 2016 until March 31 2019. Scottish Labour’s health spokeswoman Monica Lennon said: “The news that 14 women died after receiving lower than recommended dosages during chemotherapy treatment at NHS Tayside is deeply worrying. 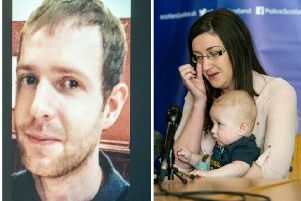 “It is right that an independent expert will now investigate these deaths to give the families the answers that they need, but this should not have happened in the first place. Chief Medical Officer Dr Catherine Calderwood and Chief Pharmaceutical Officer Dr Rose Marie Parr ordered HIS to carry out an investigation after concerns were raised “about variations in treatment compared with other health boards in Scotland”. 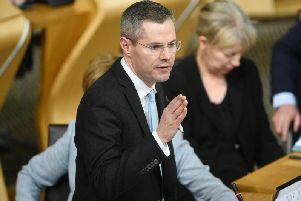 The report warned of a possible “dysfunctional team environment” in NHS Tayside, with debate on the issue said to be “stifled”. Other medical professionals within the board “expressed concern” about the lower dosage, the report said. For patients being treated with a FEC-T regimen of chemotherapy, oncologists in NHS Grampian and NHS Highland recommended doses of 100mg/m2 of two of the drugs, Epirubicin and docetaxel, while in Tayside the recommended dosage was 75mg/m2 of Epirubicin and 80mg/m2 of docetaxel. The report noted the practice in NHS Tayside was “also at variance with the rest of NHS Scotland”. The “NHS Tayside breast oncology consultant team confirmed that patients were not informed of dosage or variation in dosage during the consent process”, the report said. Doctors there had argued their practice was “in the best interests of patients in NHS Tayside”, saying that when higher doses of the drugs had been used in 2014-15, 51 of 98 patients had needed to have their dosage reduced. The health board’s acting medical director Professor Peter Stonebridge apologised for any “distress” caused by the report. He added: “We have taken assurance from the expert panel who has said that the risk of any negative impact to patients arising from the change in chemotherapy was very small. A Scottish Government spokeswoman said: “Independent expert support is already involved. NHS Tayside have appointed an independent expert to review the treatment of the patients who died and will be sharing the findings with their families as a result of the HIS review. Baroness Delyth Morgan, chief executive at Breast Cancer Care and Breast Cancer Now, said: “We welcome the independent inquiry to fully understand the causes and clinical impact of the decision to lower the standard chemotherapy dosage for patients in NHS Tayside. While we are reassured that the risk of any negative impact on patients’ outcomes is likely to have been small, such variation in best practice is unacceptable and we need to understand how it has been allowed to happen. “For patients that have been affected, and any families who have very sadly since lost loved ones, this may provoke some distressing questions about their care, and it’s vital that they now receive the information and support they need. “Patients must be able to count on receiving a consistent and agreed standard of care no matter where they live in Scotland - and it’s essential that all patients are fully consulted on the benefits and risks of all parts of their treatment. We now need the inquiry to clearly set out what action must be taken to address these disparities in clinical standards.